It's only two weeks before your move date, and if you've been using our eight-week moving schedule, you're probably on track with only the last few tasks to do. This is the most stressful period when it feels like there will never be enough time to finish everything. If you're feeling overwhelmed, you may want to call in some help from friends or family or neighbors. And if you're moving to another city or town, having your loved ones help you with the move also gives you and them a little extra time to spend together before you move. If you're moving with kids, get them to help, too. There are some things your children can pack safely without too much supervision, starting with their room. 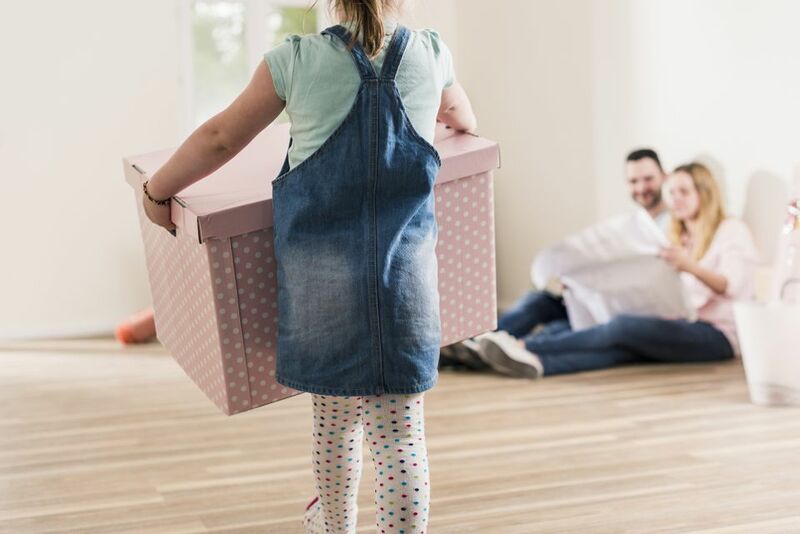 This will help your children have time to say "goodbye" to what's familiar and help them adjust to the move while providing you with some much-needed assistance. Arrange for a babysitter for moving day. It's better if children are out of the house completely, so you're not distracted, and they aren't in the way. And sometimes, if children are having a difficult time with the move, being there while they're memories are being loaded onto a truck can be stressful for them and you. Hire professional packers. If you find you just can't get everything packed up, now's the time to call in the professionals. Packing services can help you not just pack up your old home but also help with unpacking at your new place. Remember, while moving out is difficult, moving in is just as hard and time-consuming so consider having hired pros to help. If you have pets, make their travel arrangements. If they're flying, you may want to call a few airlines to see who will provide you, and Fluffy, with the best service. Arrange your travel. If you're traveling a long distance to your new home, make the final plans needed to get you and your family there safely. Get your car fully checked and serviced. While you're at the shop, ask your mechanic if he can recommend any service stations in your new city. Prepare your car registration and insurance. If you're moving out of state or province, notify your current Department of Motor Vehicles or equivalent of your address change and inquire about registration in your new state or province. Return all library books. Even if you're in the middle of reading a good thriller, take those books back! It's a good idea to get them out of the way when you're packing and just, so you don't pack them accidentally. Call your insurance company to cancel or transfer your current home coverage. Transfer all prescriptions to a pharmacy in your new city. If you're moving out of the country, make sure you have enough medication to last until you get settled. Arrange for parking for the moving van. Make sure the moving van can fit in your driveway or on the street and that the distance from the van to the front door does not exceed what the moving company allows. Otherwise, you'll be charged an extra moving fee. Safely dispose of all hazardous household chemicals like paint, oil, and solvents. Continue packing. Try to label each box with what's inside, where it goes and any special instructions. Be as detailed as you can. It will make it easier when you're unpacking to know what needs to be unpacked first. You can even put a big bright sticker on the boxes that contain your essentials, for easy identification. Just make sure you put the sticker on at least two sides.